The project provides for a joint immersion in Jewish history - family, community, city and township - of several generations: great-grandparents, grandparents, moms / daughters, daughters / sons, grandsons / great-grandchildren, great-grandchildren, and other relatives, friends and neighbors. You expect formal and informal meetings at different levels, joint and individual walks, common memories and fixing them on the page "Life is beautiful", interactive communication, photos and other joys. Take a chestnut and say the name of the deceased. Let the phrase come true: "They tried to bury us, but they didn't know we were seeds." Let the memory revive in our souls and let our minds be filled with the desire to know, to understand and to remember that our hearts keep the resolve to protect each other by all means. May soldiers never kill children again. The exhibition consists of eight panels, beginning with Jewish life in Kiev for ten centuries, their contribution to the city’s history and visage, and the structure of Kiev’s population on the eve of the German invasion of the Soviet Union in June, 1941. Additional panels highlight the first days of the war, the public mood in the city, and the events leading up to the massacre. Most noteworthy are the excerpts of personal documents, maps and stories of witnesses to the Nazi “killing machine.” The exhibition ends with the miraculous stories of salvation, the upstanders who helped victims and the memorials dedicated to their memory. The information exhibition "Jewish mansions of Lipki", developed by the Judaica Institute, creates an exhaustive picture of the architecture and interiors of the remaining mansions in Kiev, once owned by the famous Jewish patrons of Kyiv. In partnership with the Branch "Sokhnut Ukraine" in the framework of the project Jewish Kiev Explorer. One of the most joyful projects of the Institute of Judaica, which is held in 2015 in cooperation with the initiative group "Gift" - "Live Quests" (with the support of the UJA-Federation of New York and the Genesis Philanthropy Group in the framework of the CAF Russia charitable program "Jewish Communities" and Jewish Agency for Israel (JAFI)). Exhibition: "The Path to Dream: The Contribution of Immigrants from Ukraine in the Creation of the State of Israel". The exhibition tells about the people bound with Ukrainian towns and shtetls whose names were given today in Israel to streets and kibbutzim, wells and power plants. Students, engineers, doctors, poets, artists, soldiers and lawyers – all of them were leaving for a desolate earth of Eretz Yisrael, to turn it into a land flowing with milk and honey. Catalogue of the exhibition: "The Jews of Ukraine for the State of Israel. Ukrainian Land, Eretz Israel, Israel"
The Institute of Jewish studies in cooperation with the Embassy of the State of Israel and with support of Oleg Vishnyakov, Honorary Consul of Israel in Western region of Ukraine, has issued a catalog of the exhibition "The Jews of Ukraine for the State of Israel. Ukrainian Land, Eretz Yisrael, Israel" which tells about people who were born or lived in Ukraine and played an important role in the creation and history of the state of Israel. 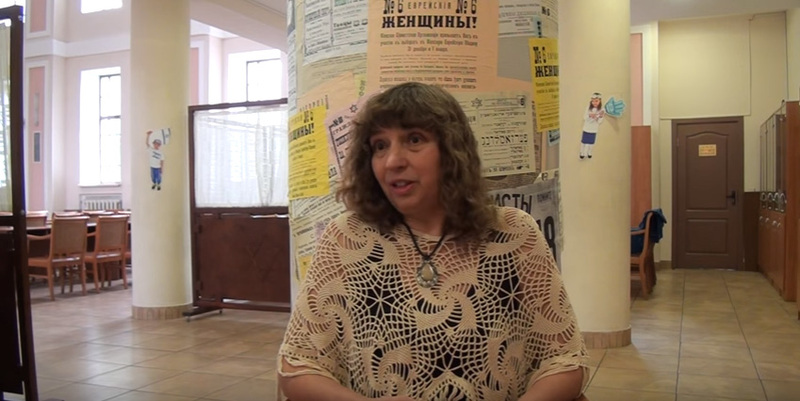 The project includes seminars for teachers of secondary and higher education institutions, the preparation of school guides and the demonstration of three exhibitions: "Anna Frank: The Lesson of History," "The Origins of Tolerance," "The Holodomor, the Holocaust, the GULAG - Three Tragedies on Ukrainian Land in the Twentieth Century." The Totalitarian Regime Against the People and Man. " Project "Lessons of the tragedies of the 20th century on the Ukrainian land. Education of tolerance as a way of survival of mankind in the 21st century. Development of strategies for the Holocaust Remembrance Days"
The project contributes to the education of an understanding of the value of human life, the formation of humanistic principles for building a civil society, reducing the level of aggression in the youth environment. The catalogue of the exhibition Holodomor, Holocaust, GULAG. The Three Tragedies that Unfolded on Ukrainian Soil in the 20th Century. Totalitarian Regime against the People and the Person is a collection of documents, literary, artistic, and analytical materials that depict the historic events that led to the death of millions of people. The pages of the publication also show particular faces and destinies of those who were dragged into the whirlpool of those tragedies. The exhibition "Holodomor, Holocaust, GULAG. The Three Tragedies that Unfolded on Ukrainian Soil in the 20th Century. Totalitarian Regime against the People and the Person" is a collection of documents, literary, artistic, and analytical materials that depict the historic events that led to the death of millions of people. The goal of the project is to develop educational CDs on various topics of the Jewish history and culture. The CDs were developed by a team of historians, experts in Jewish literature and traditions. They are designed for teachers of Jewish schools of Ukraine, other secondary and high schools, as well as for all those who are interested in the Jewish history.The project is supported by the DUTCH JEWISH HUMANITARIAN FUND. The CDs are the intellectual property of the Jewish Studies Institute and are not designed for commercial use. ​A series of exhibitions "The Jewish Community of Ukraine for Israel"
The project "Jewish community of Ukraine for Israel" continues the tradition of long-term cooperation of the Institute of Judaica with the religious and educational center "Midrash Tsionit" under the Galician synagogue. The project is aimed at reviving the long-standing Jewish tradition of teaching children in synagogues. The exhibition "The living face of history. Jewish community of Kyiv in the 20th century"
The Mnemosina Club continues its work for seventeen years since September 2000 with the purpose of activating the creative potential of the Hesed wards. Each event is held in a warm and friendly atmosphere. Each member of the club writes his note in a harmonious melody, uniting those who came to share their new finds in the archives. Those who brought interesting information, or wrote their memories of any period of their lives, about a street in our city or about the place of their childhood, and those who thankfully listens and aptly comments on what is happening. 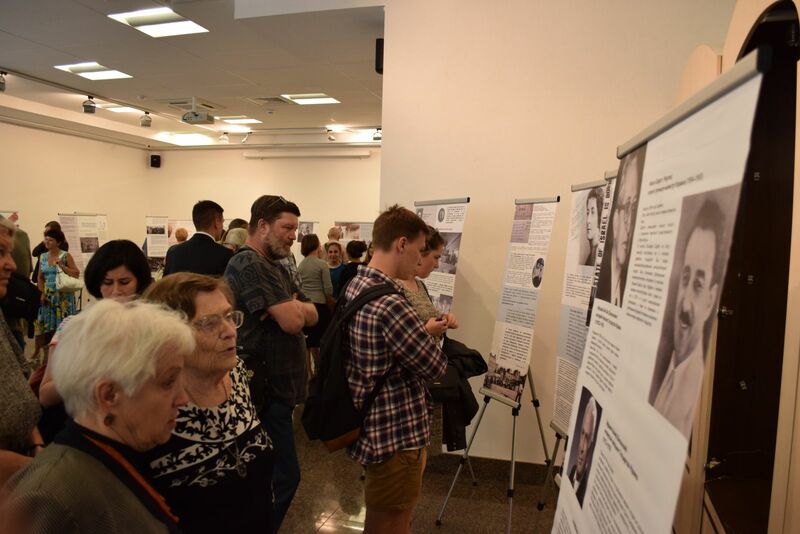 The collection of materials gathered in "Lessons from the Holocaust in Ukraine and the Low Countries", is the result of an international collaboration of teachers and students of pedagogical universities in the three countries. It affects a wide range of questions, aimed at a deeper understanding of the nature and history of the Holocaust and at the specific methodologies and didactics used to teach Shoah in the different countries of Europe. Analytic articles, methodic developments, reflections of the participants in the project concerning joint work at seminars in Ukraine and the Netherlands, all of them create the picture of a search for a common European pedagogical space in which the history of the Holocaust can be taught. Project "Tolerance training on examples of the history of the Holocaust"
Report disk on the project "Tolerance training on examples of the history of the Holocaust"
"Ukrainian books for tolerance education"